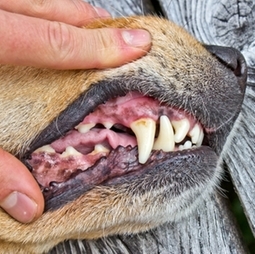 Dental disease is one of the most common medical conditions seen by veterinarians. Over 80% of dogs and over 67% of cats over the age of three have active dental disease. Few pets show obvious signs of dental disease, so it is up to the pet's family and veterinarian to uncover this hidden and often painful condition. cervical neck lesions, also called oral resorptive lesions.